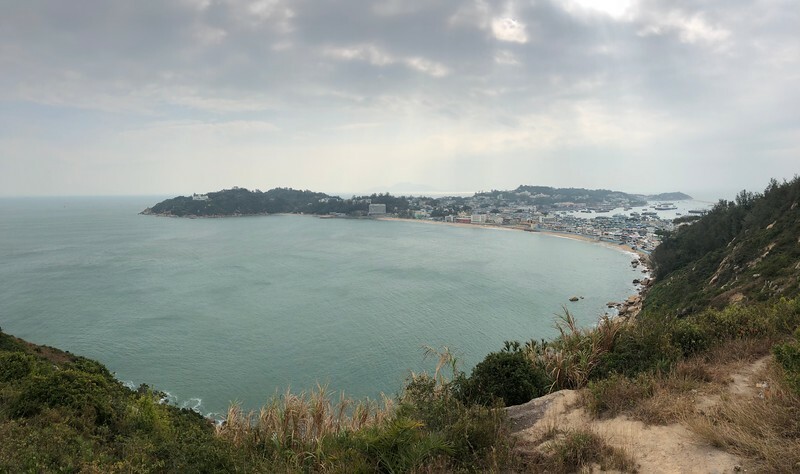 The North Lookout Pavilion North 長洲 北眺亭 in Cheung Chau offers a superb view of Cheung Chau island. 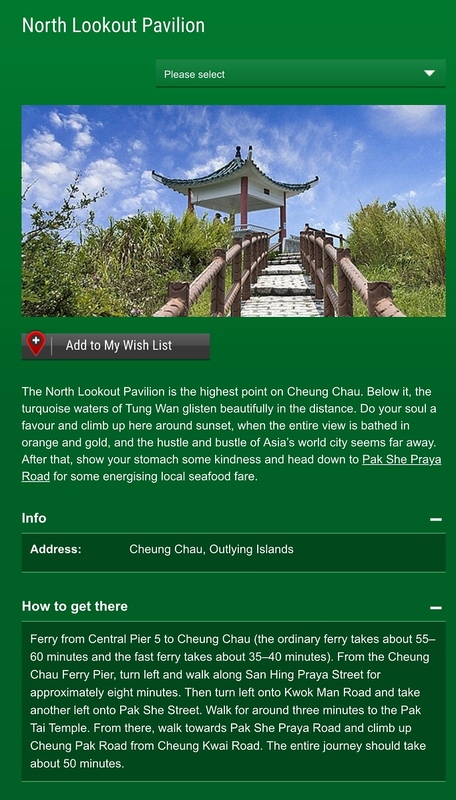 You can catch that on this video that I took at the North Lookout Pavilion. 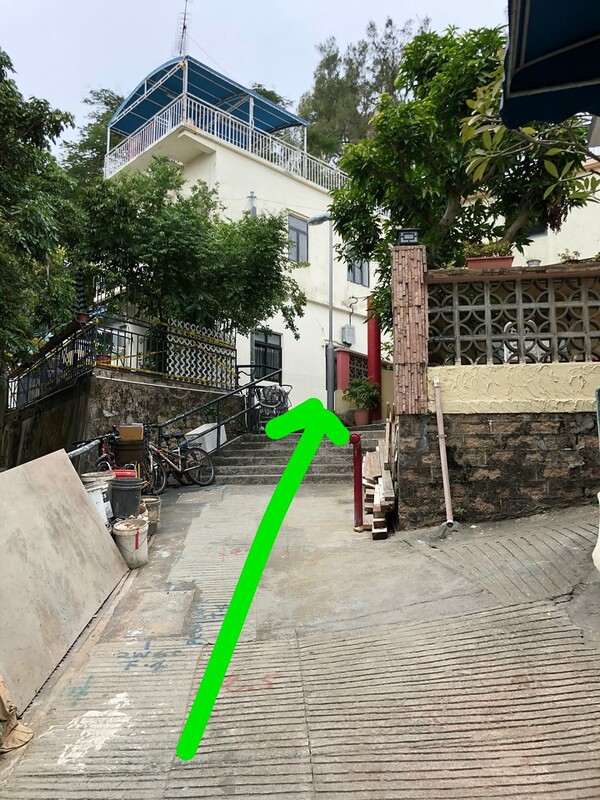 It is the location of many TVB scenes. 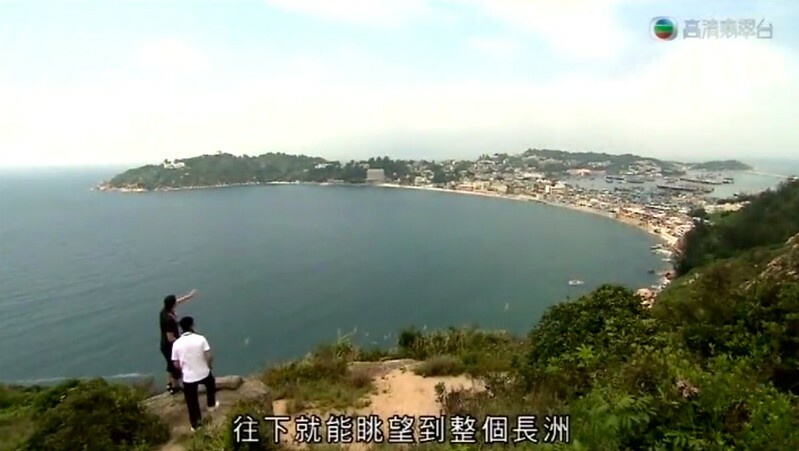 Specifically, there is a whole TV serial about life in Cheung Chau. 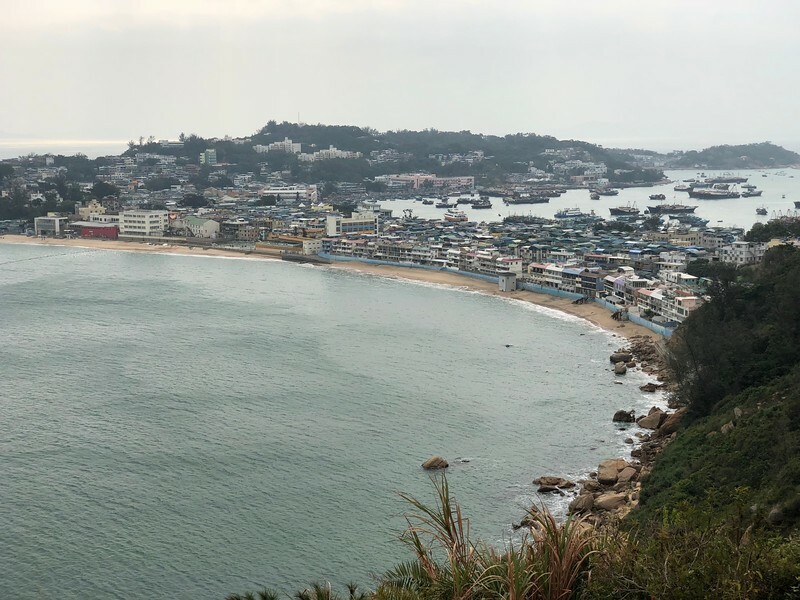 The TVB show is called 情越海岸線 ! 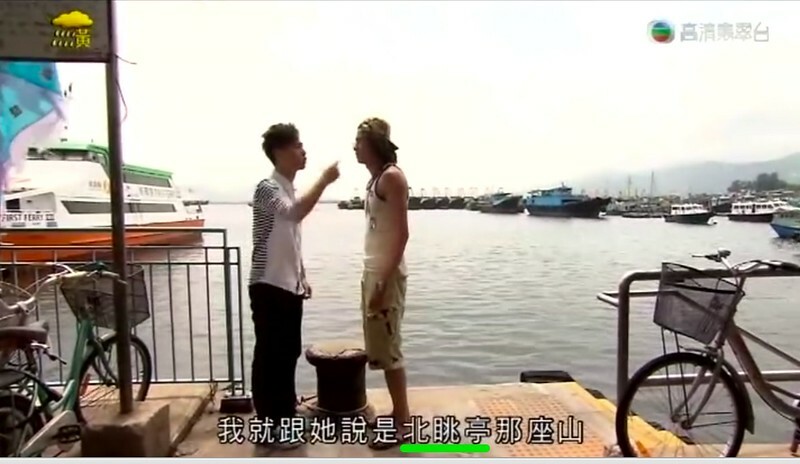 For example, these 2 scenes from the TVB serial showed the place where we are about to visit ! 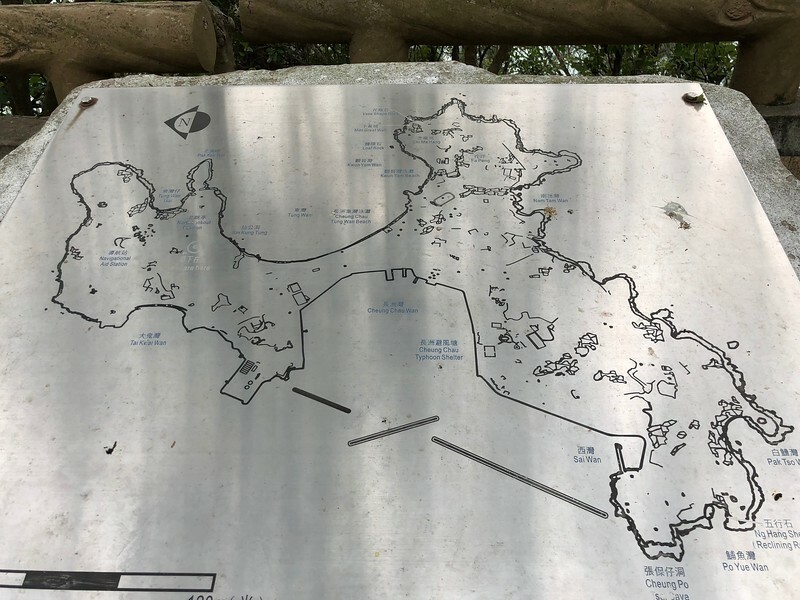 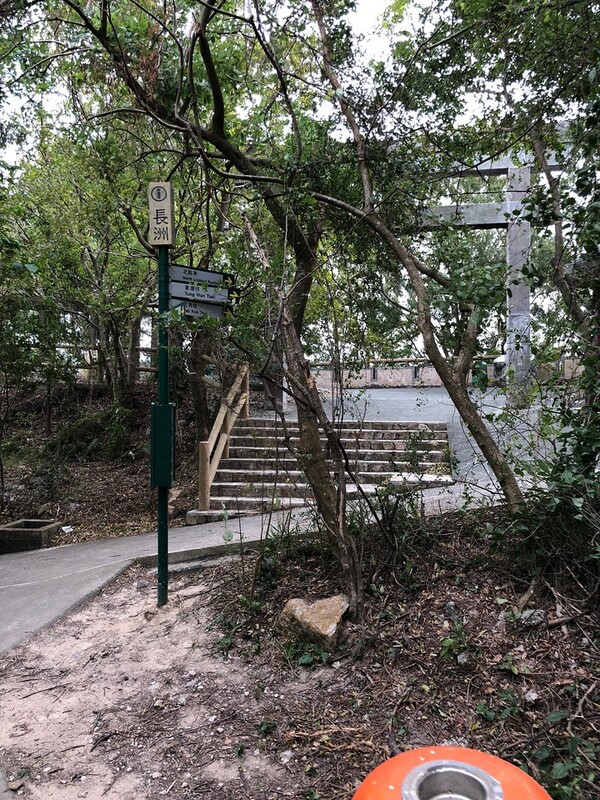 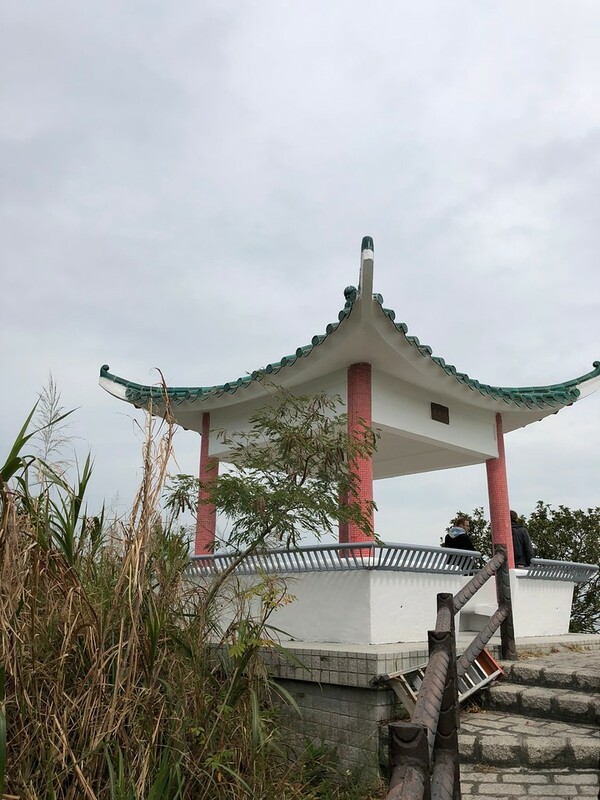 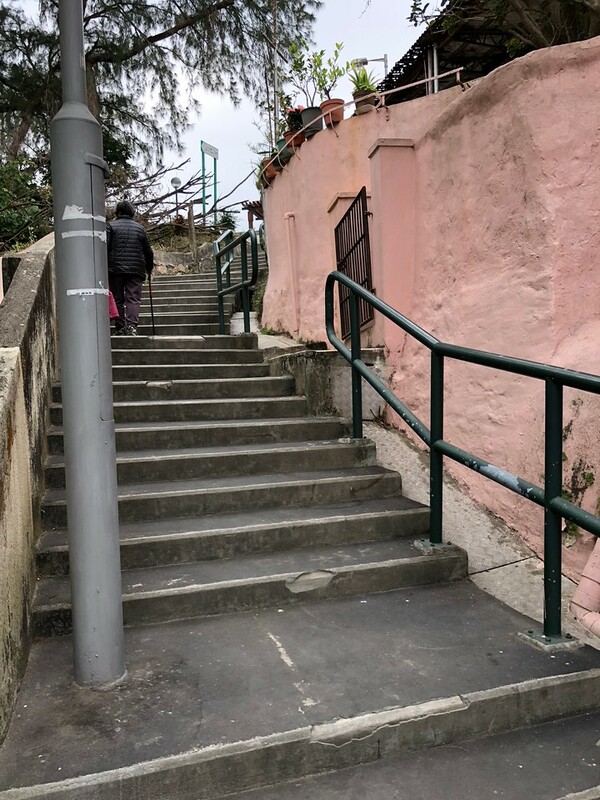 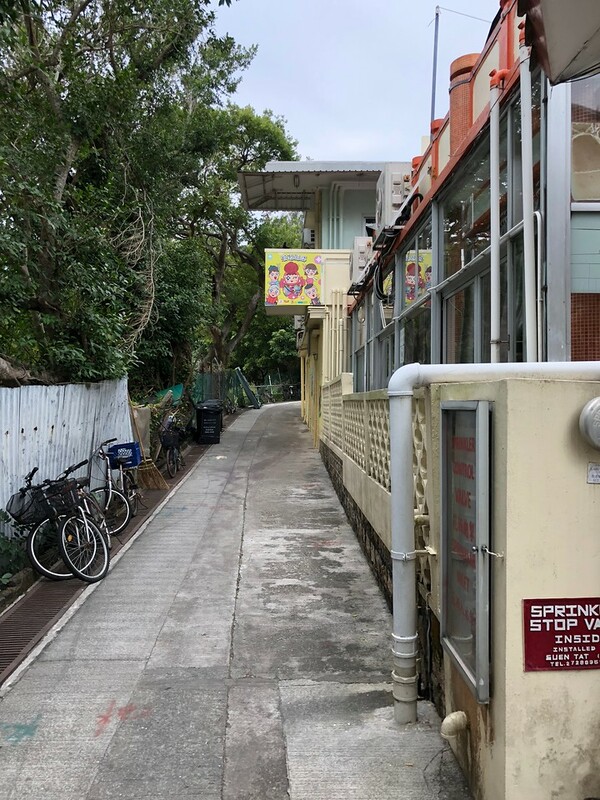 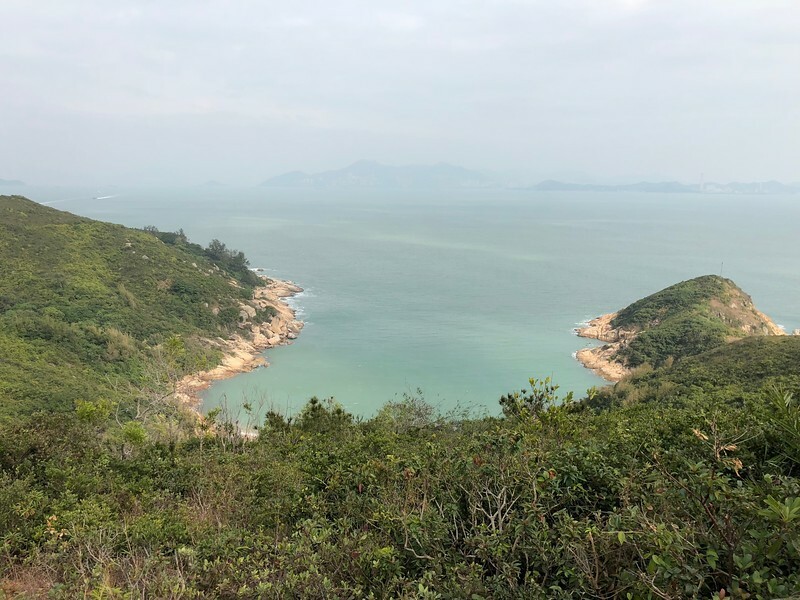 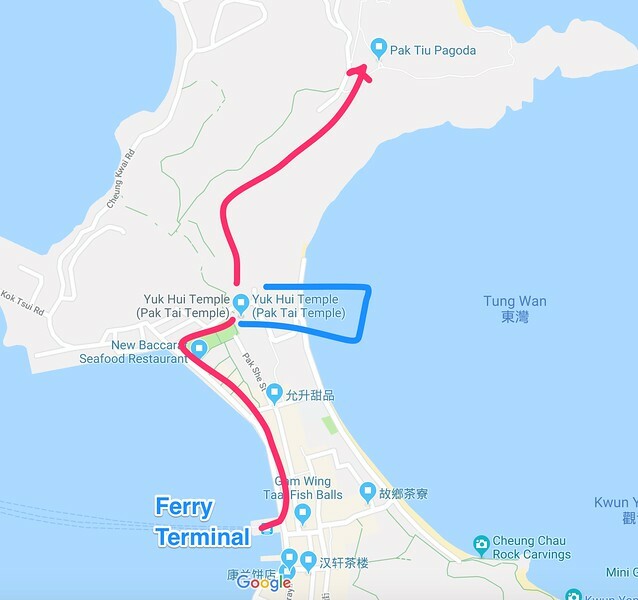 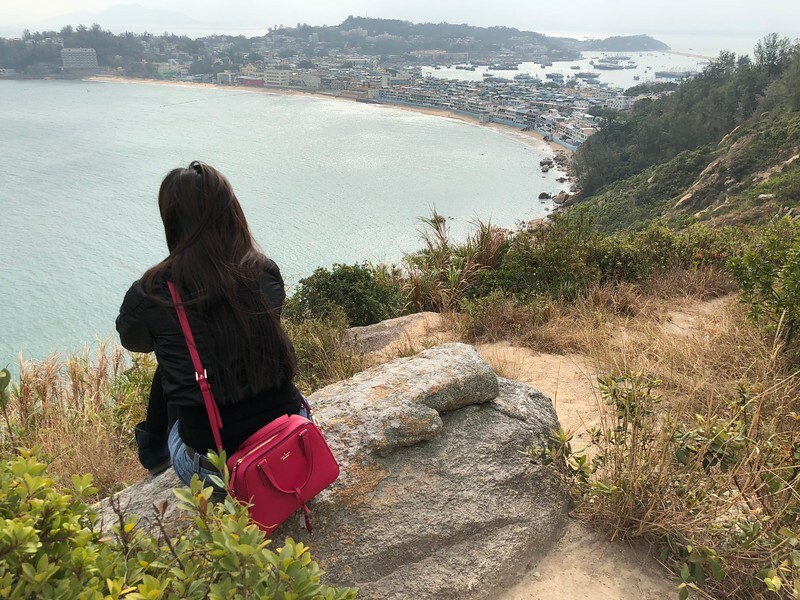 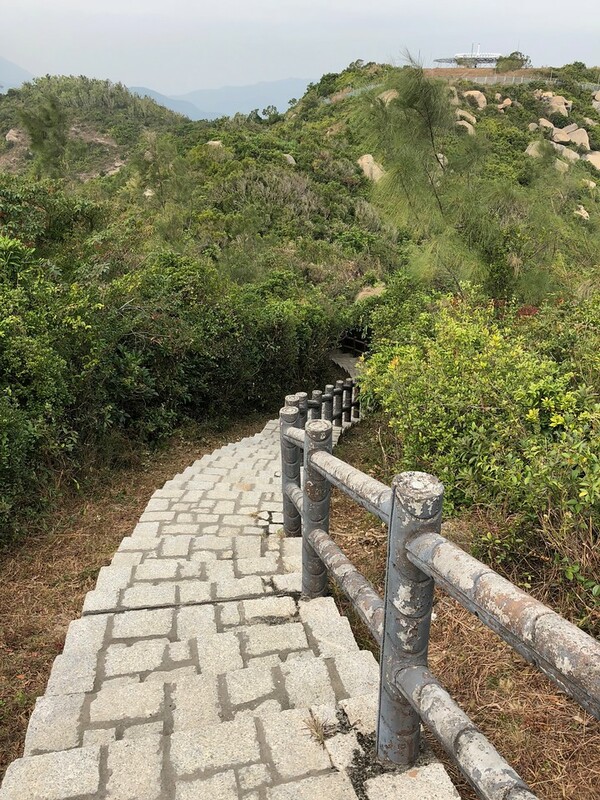 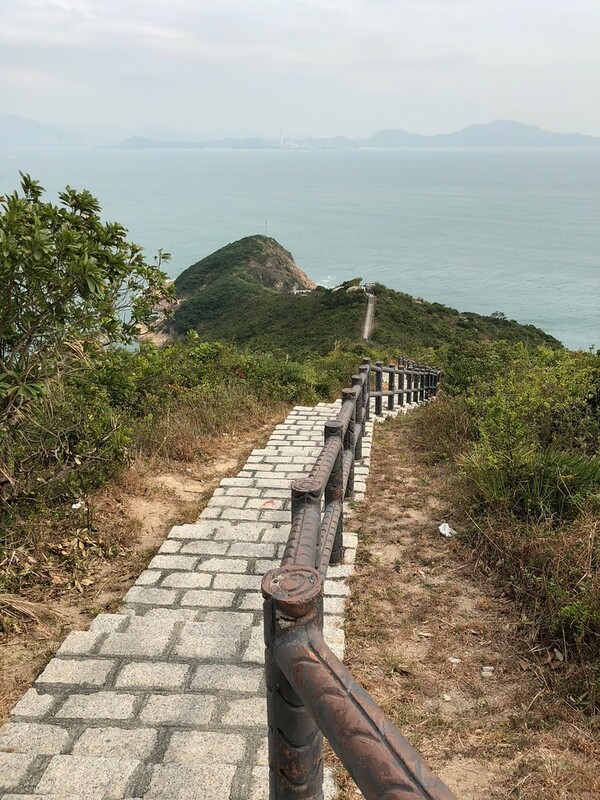 So how do we get to Cheung Chau North Lookout Pavilion ? 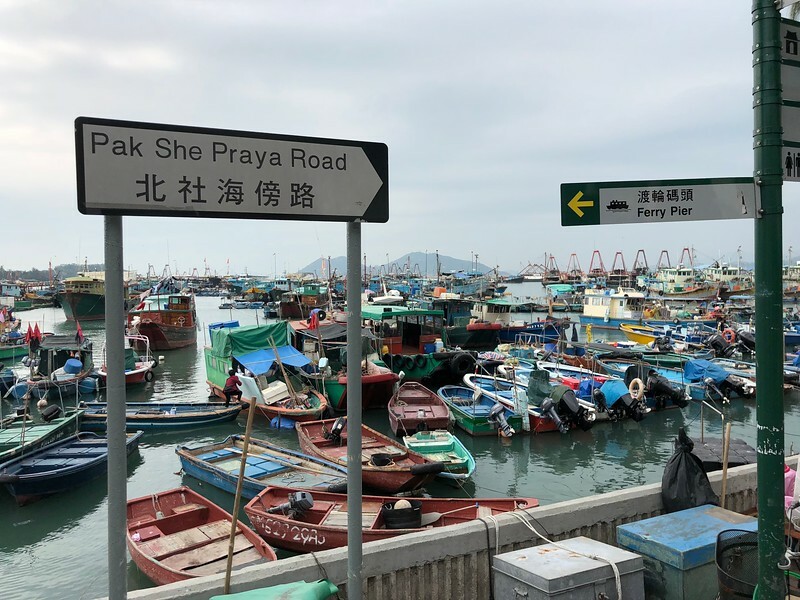 After you are out of the Cheung Chau ferry terminal, turn left and walk along the Pak She Praya Road. 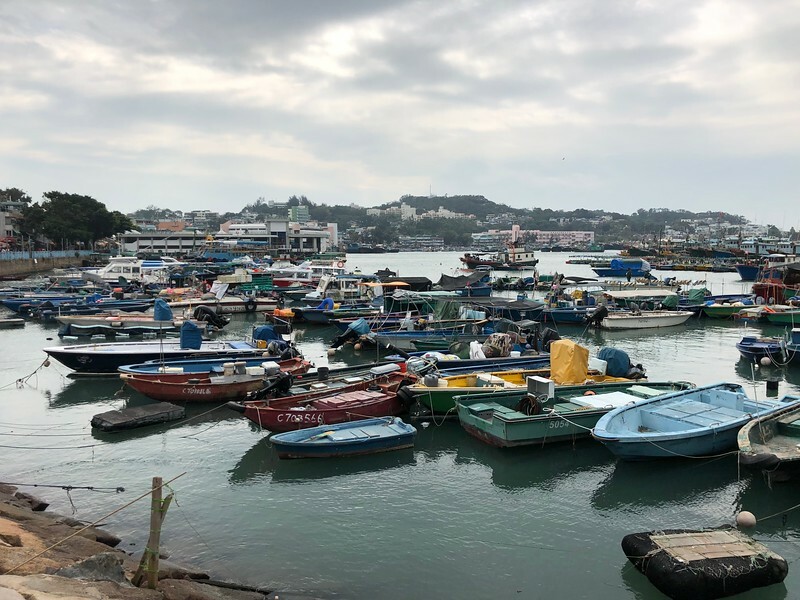 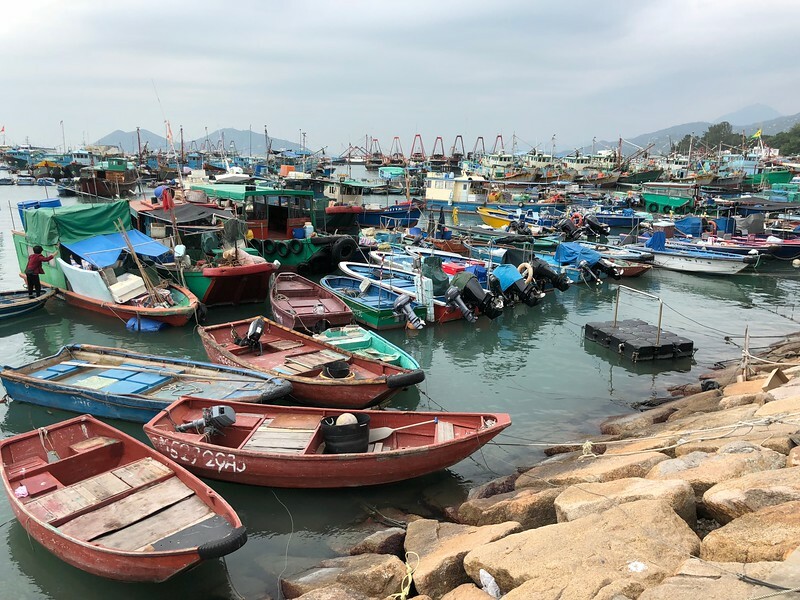 A row of seafood restaurants will be on your right soon and on the left are the beautiful fishing boats of Cheung Chau. 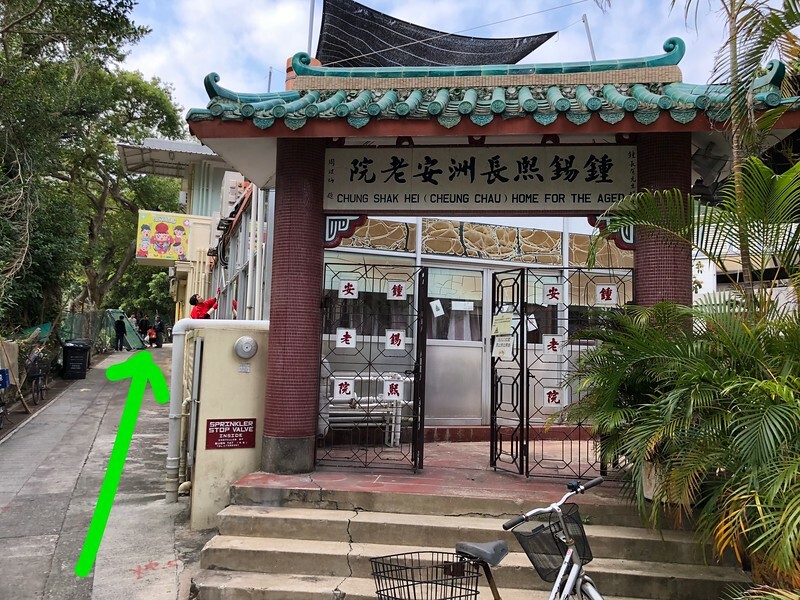 We are actually going to the Pak Tai Temple first. 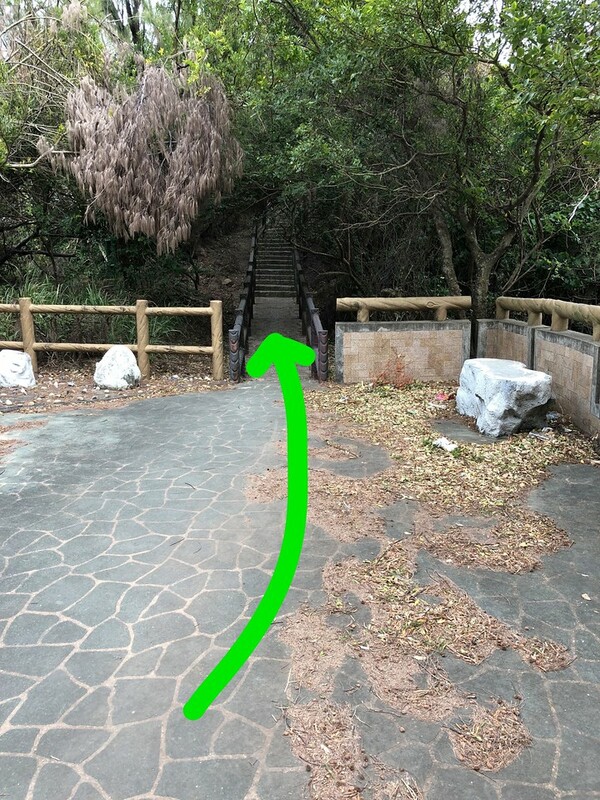 For the purpose of our guide, if you are facing the temple, you will be going to the LEFT side of the temple. 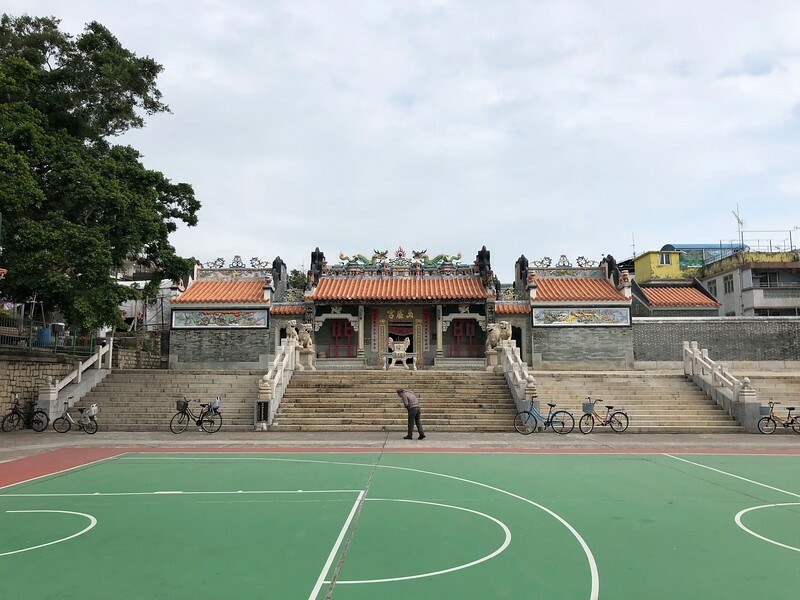 If you went inside the temple to pray, it will, of course, be on the right side of the temple when you exit and face the basketball courts. 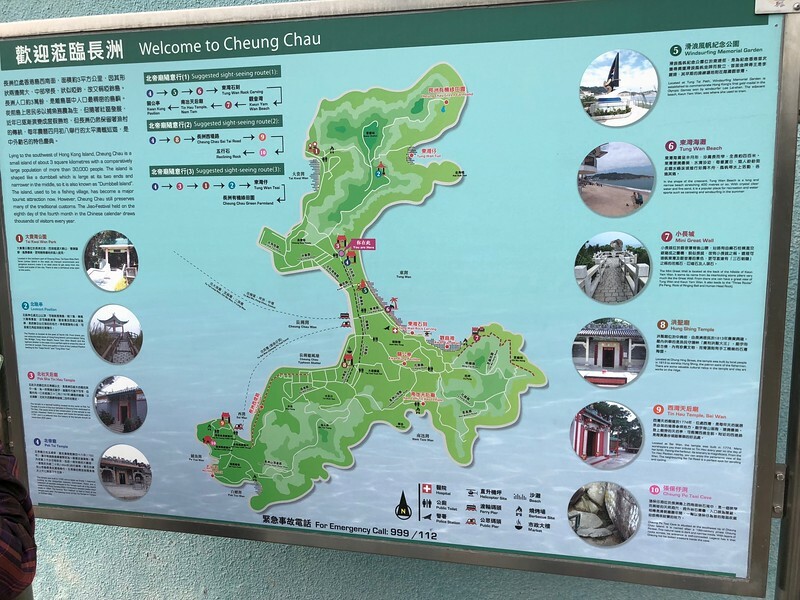 You will walk past a public toilet with an excellent tourist map. 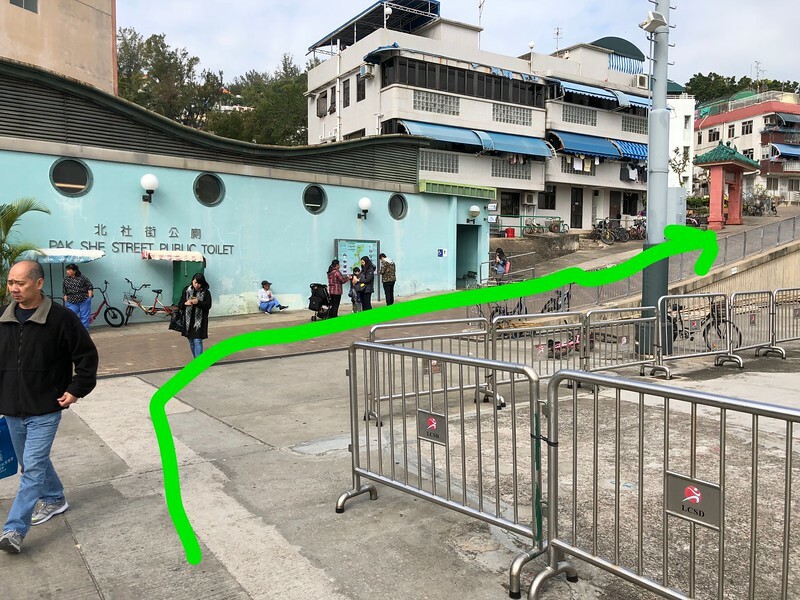 Once you are past here, honestly, you cannot get lost as it is a one way mostly. 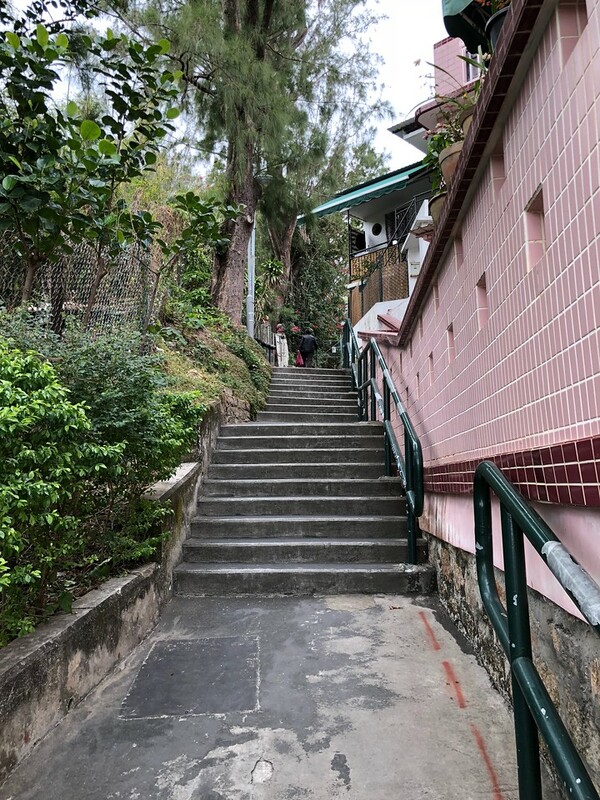 Up and up the stairs. 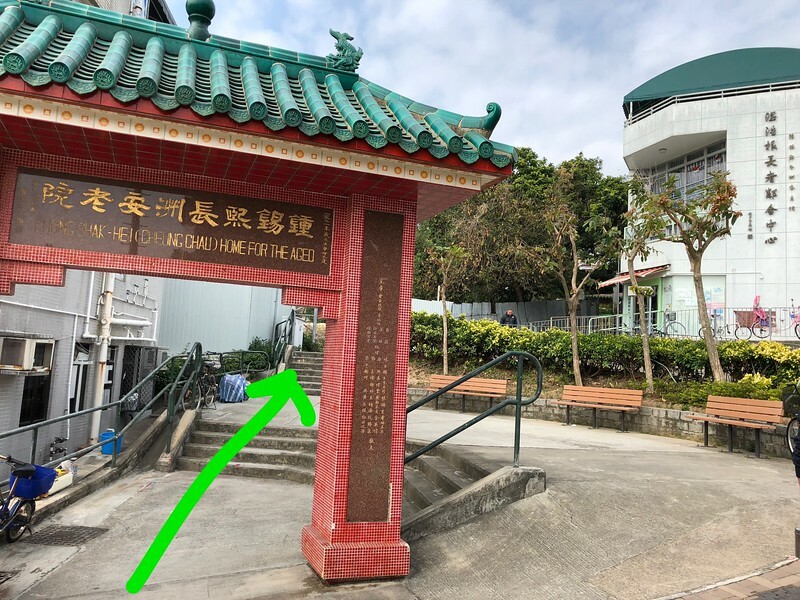 You will then reach the Pak She Cheung Lee Playground. 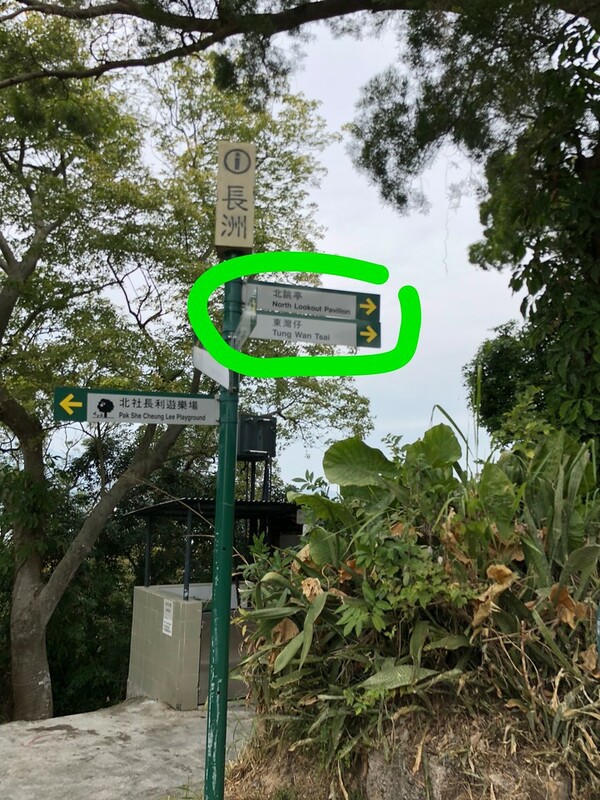 Turn right… and walk more…. 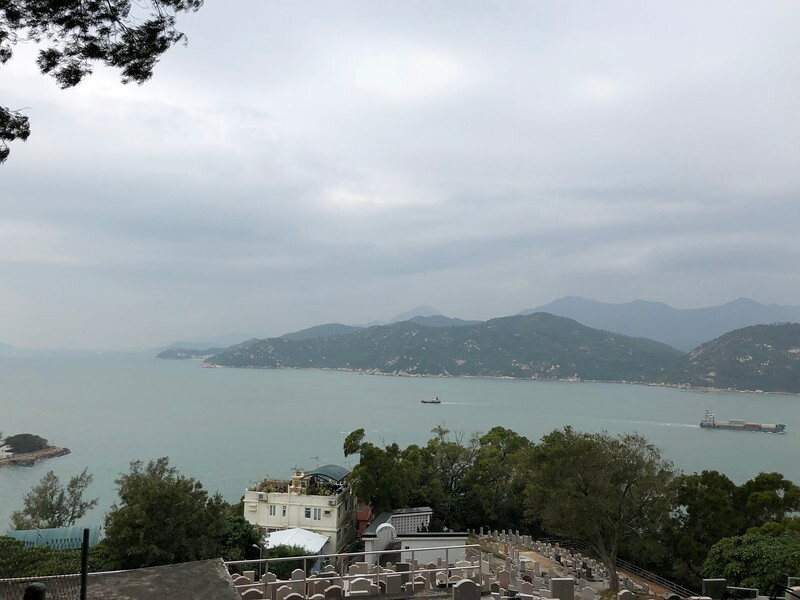 Past some forest area, a small cemetery and a small columbarium (with excellent views of the sea)…. 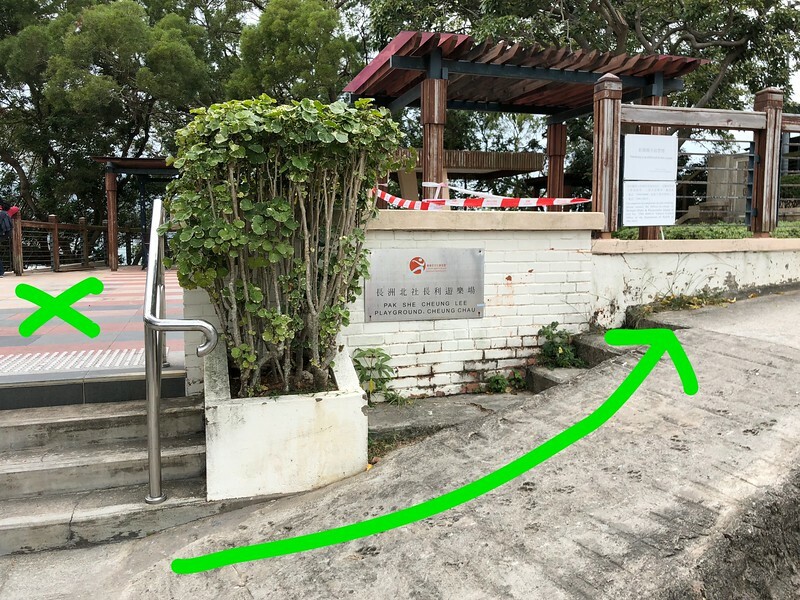 Look for the this map at this area and then look left when you are facing this map. 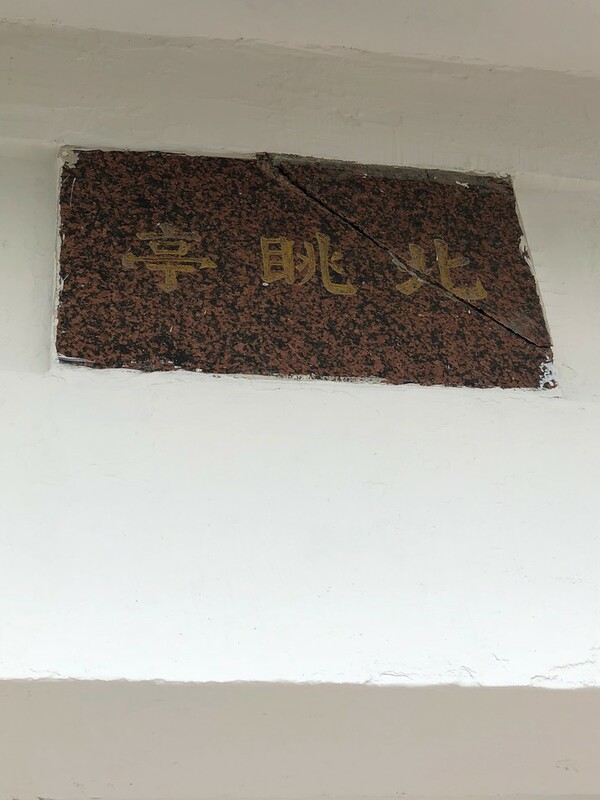 You will see this small road. 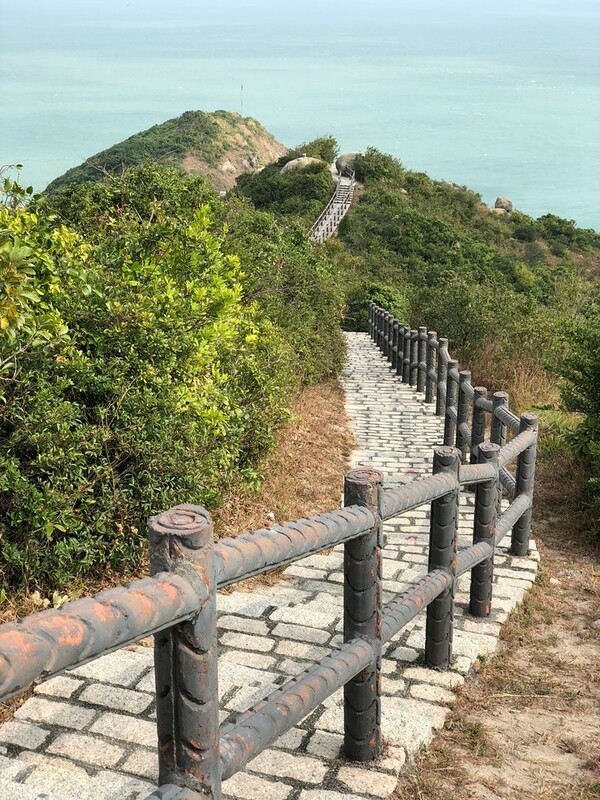 You are almost there..
As at the end, you will see this !! 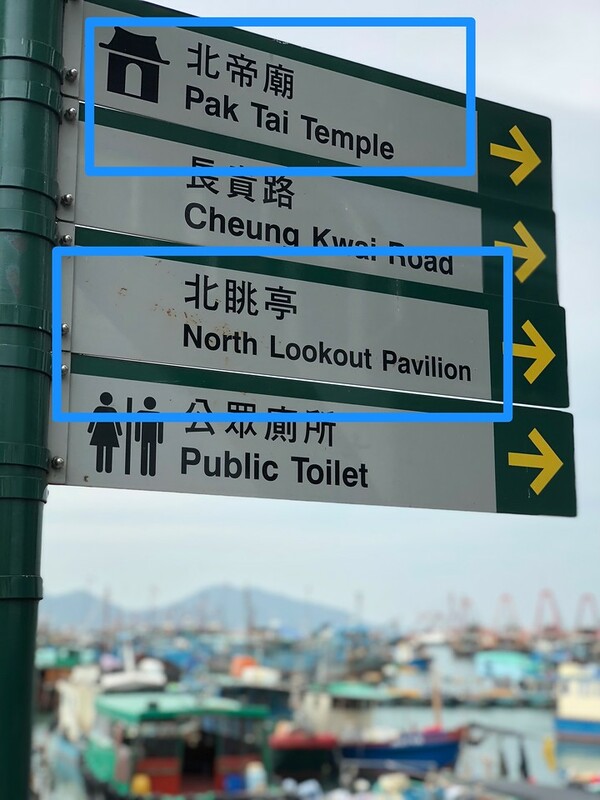 The Cheung Chau North Lookout Pavilion 長洲 北眺亭 !!! 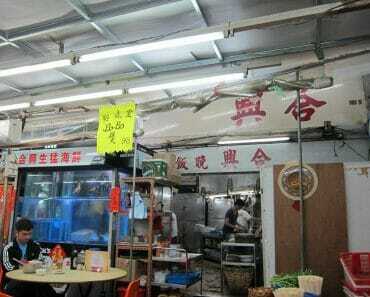 Just like 張寶生 in TVB show has reached the Pavilion 長洲 北眺亭. 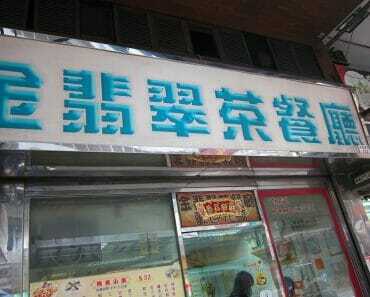 However, that’s not all… he is looking for 鄭抱抱 and he knows she is there.. 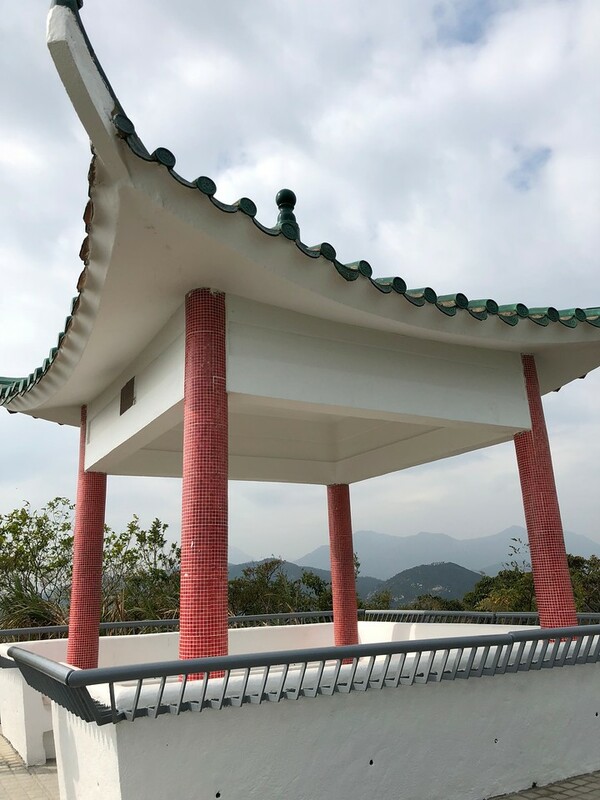 This particular TVB pavilion is a little further DOWN the hill (from the North Lookout Pavilion). 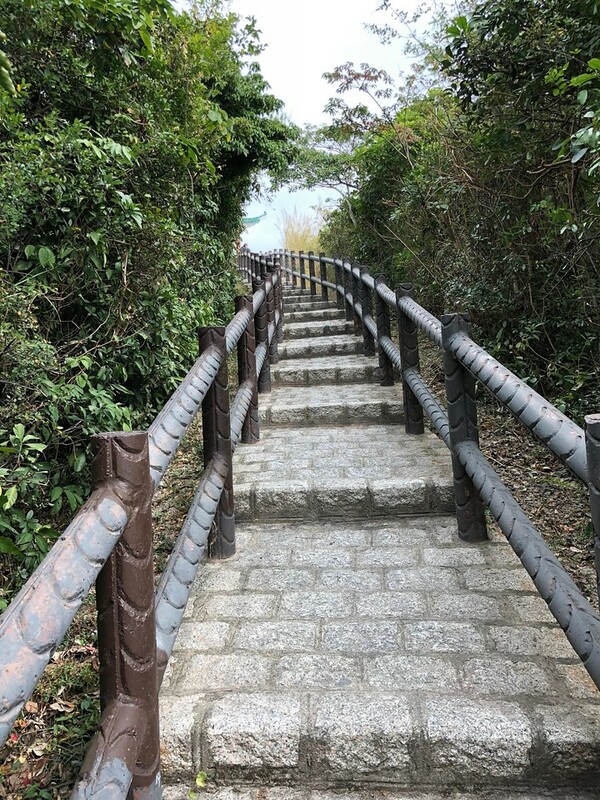 You just to walk down the slope to reach it…. 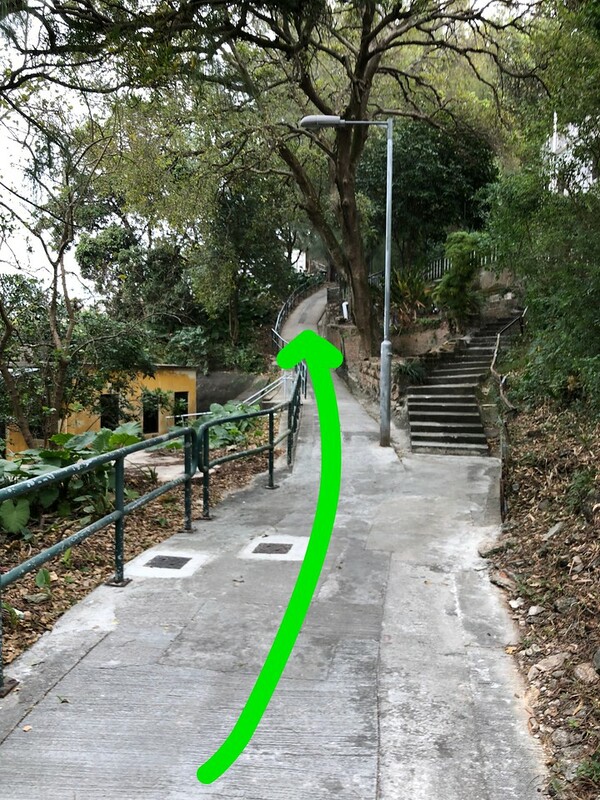 At 1/2 way down the walk down this slope, you will STOP and look right. 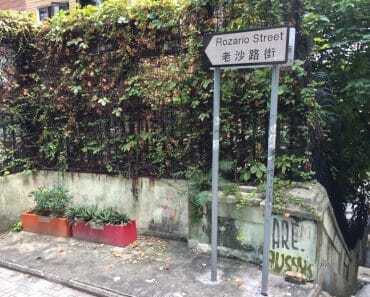 Just like in TVB show ! 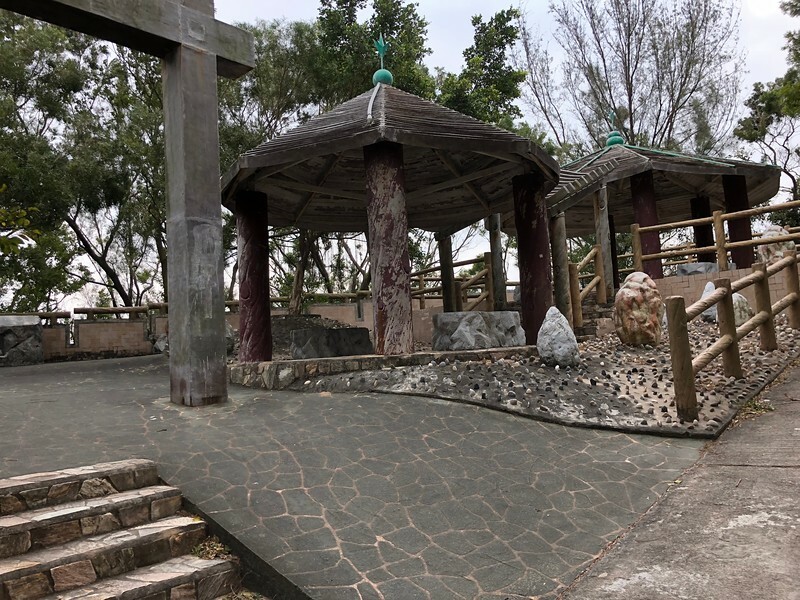 Nice place to take a break and have some deep thoughts.. of life…..